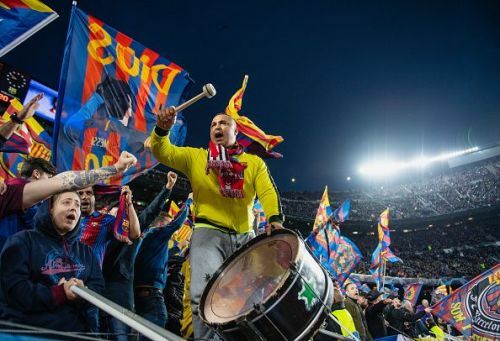 Barcelona stormed into the semi-finals of UEFA Champions League after thrashing Manchester United 3-0 on the night and 4-0 on aggregate, courtesy to a stunning display from their blue-eyed-boy Lionel Messi. It was always going to a monumental task for the Red Devils after last week’s 1-0 Old Trafford defeat. However, Solskjær men started the game very brightly as Rashford came really close and hit the crossbar within the first minute mark. Although, their task got almost impossible after conceding an early goal with just 16 minutes on the clock, courtesy to a brilliant strike from Barcelona talisman, Lionel Messi which David de Gea had no chance of saving. Then again, Lionel Messi doubled the lead for Barcelona at 20th minute mark from a howler of a mistake from Manchester United goalkeeper David de Gea. Coutinho rounded of Barcelona’s triumph after adding the third at the 60th minute mark after a trade mark Coutinho finish which found the top left corner of De Gea’s goal. With this very win, The Catalan giants extended their European record of not losing a single tie at home since 2013. Barcelona also broke their quarter-final curse as they failed in previous three occasions. Here are the five hits and flops from last night’s encounter between these two heavyweights of Europe. 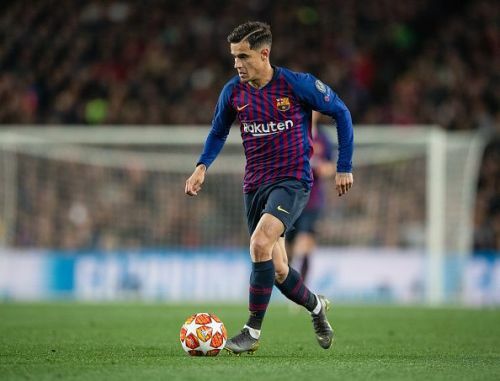 The former Liverpool starlet got a lot of sticks from the Blaugrana faithfuls in recent times but this time on, against his old enemies, Coutinho once again showed his class after scoring a stunner from the outside of the box which De Gea had no chance of saving. In the first half, Coutinho’s linkup play with the likes of Suárez, Messi and Jordi Alba was outstanding. The composure he showed on the ball, was a bare reminder to everybody why Barcelona paid such a huge sum of money to bring the Brazilian midfielder to the Camp Nou. Lastly, the way Coutinho celebrated after the goal was a direct message to his critics that you just cannot write off a player with this kind of caliber.